Neurosurgery is one of the most complex medical procedures that are possible today, and it requires an extraordinary skill and experience to successfully carry out surgery of the brain. Chandigarh does not have many good neurosurgeons in the region, and it is extremely important to get in touch with a well-experienced and expert neurosurgeon to get head injuries, disorders and complications cured. Going wrong with the choice of the hospital and the doctor can cost you your life, and you can’t go wrong here. 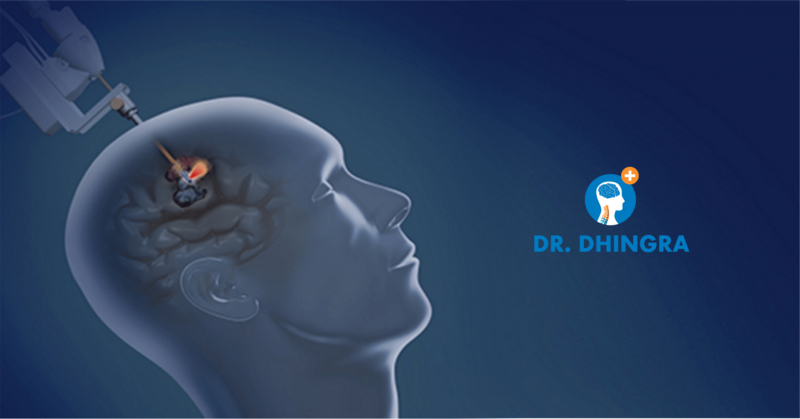 Dr. Anil Dhingra’s is unarguably the best facility for neurosurgery in Chandigarh tricity, and Dr. Dhingra himself is a specialist neurosurgeon with many years of experience and an unbeatable track record in neurosurgery. – One of the most well-known names in the field of neurosurgery across the country. – A vast and extensive experience in terms of years in the medical profession, particularly in neurosurgery and spinal surgery. – A neurosurgeon in Chandigarh who has a very impressive track record of treating complex cases of head injury and neural complications. – Most advanced infrastructural facilities and medical equipments that are at par with any of the top neurosurgery hospitals in Chandigarh. – A highly competent team of medical support staff and expert doctors, surgeons from different fields of medicine. – Reasonable medical charges, which are the most affordable in the region. – Best guidance and patient support for a smooth and seamless journey for the cure of neural ailments. Dr. Anil Dhingra has years of credibility and experience as an expert neurosurgeon. A large number of patients have been treated successfully by Dr. Dhingra over all of these years. Therefore, your search for a neurosurgeon in Chandigarh should simply stop at Dr. Anil Dhingra’s, and you can stay assured that you are in the safest hands possible.